Former Chief Justice Willy Mutunga and Senior Counsel Ahmednasir Abdullahi took a swipe at Nairobi County Governor Mike Sonko’s idea for bench-marking on garbage collection. The county boss admitted to garbage being a problem and has asked city residents to give him time to clean up the mess he apparently inherited from the former county government. “I admit that garbage collection is a menace. I am telling Nairobi that Sonko wants to fulfill his pledges. I want to benchmark with Dubai,” Sonko said. But what got Kenyans going was former CJ’s comment on social media. “We Mbuvi ni wisi takataka yiiva Ilovi withi Dubai kwika ata mwa? (Mbuvi, you know the garbage is here in Nairobi what are you going to do in Dubai? ),” Mutunga said, eliciting reactions online. Read: Should NASA Register As A Political Party Despite Fall Out? 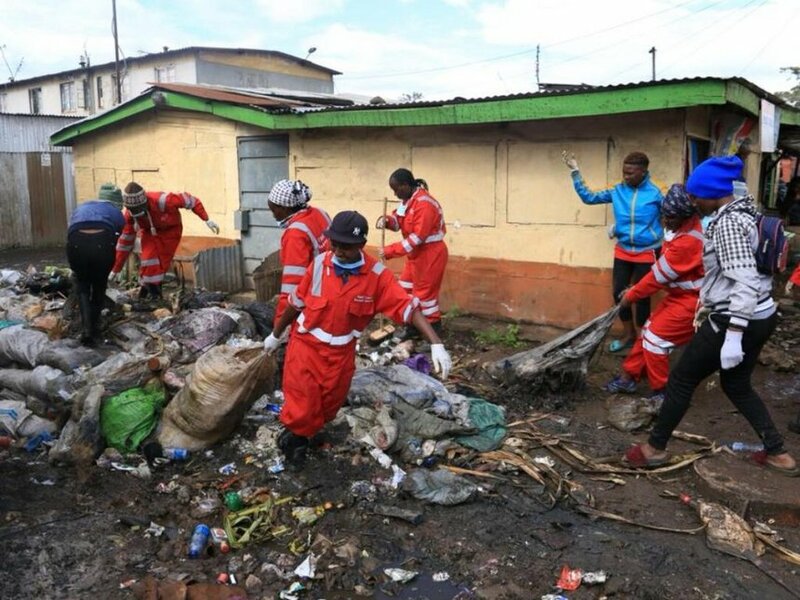 During the National Tree Planting Day on Saturday, President Uhuru Kenyatta urged Sonko to clean up the city by specially ensuring garbage is collected. “This is not something difficult. The garbage must be cleared so that city residents live comfortably. Sonko should do it so that by the time he leaves office, he will say I did it,” Uhuru said. He also asked the governor to employ the youth in place of ‘money hungry’ contractors.